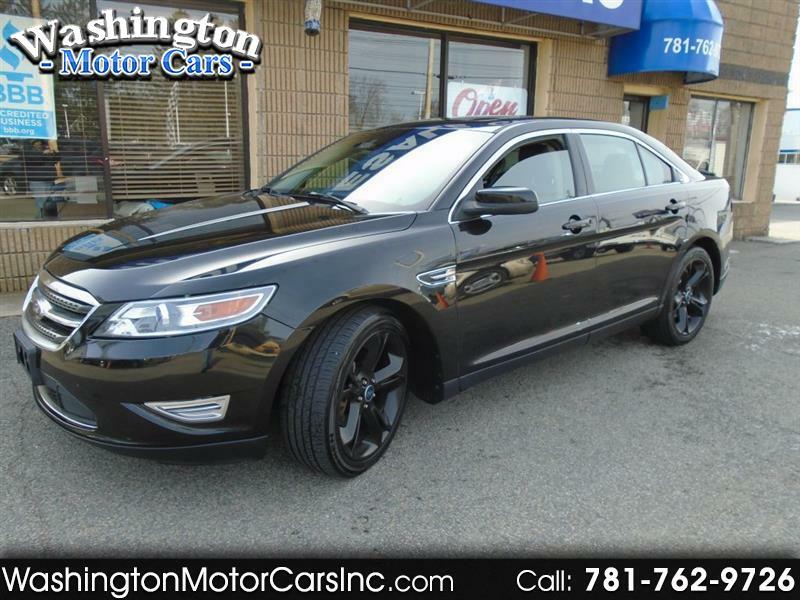 2010 FORD TAURUS SHO!! FULLY LOADED, NAVIGATION, AWD! ! LEATHER! SUNROOF/MOONROOF! COOLED AND HEATED SEATS! SHO PERFORMANCE PACKAGE! ACCIDENT FREE VEHICLE HISTORY REPORT! 2010 Ford Taurus SHO AWD 6-Speed Automatic with Select-Shift EcoBoost 3.5L V6 GTDi DOHC 24V Twin TurbochargedRecent Arrival! Awards: * 2010 KBB.com Best Resale Value Awards * 2010 KBB.com Best 10 Family Vehicles * 2010 KBB.com 10 Most Comfortable Cars Under $30,000 * 2010 KBB.com Brand Image Awards. WashingtonMotorCars.com has sold 1000's of vehicles in Norwood,to the public,since 1988. We have earned an A+ Better Business Bureau Rating* and have been Riding With You Every Mile' for 30 years in Norwood Ma.Free vehicle history report! !We stand behind all of our vehicles! Before being sold, every vehicle is thoroughly inspected and serviced for quality and safety. We are a small, family-owned dealership that has been in business for over 30 years and our customers always receive the personal attention they deserve.